We here at Destructoid really care. Since we knew our announcement of Game of the Year for 2008 was going to be so important, we decided to make sure everyone in the world could fully enjoy the excitement. Therefore, for the blind people, we created the above video full of delicious audio for your extra sensitive ears. And for our deaf friends, you can hit the jump for the big reveal and treat your super-powered eyes to a glorious dance of text. Oh, wait, how will the blind people read this and know to play the video? Eh, well, blind people don’t care about videogames anyway. Out of yesterday’s final six nominees, which game took the prize? Watch the video or hit the jump to find out. Or, even better, DO BOTH! Last year BioShock took the coveted crown of Destructoid Game of the Year. What game will join its ranks and take the title this year? By reading your comments in yesterday’s list of the finalists, it seems everyone has different opinions about what game is the best of the best. Some people screamed for Braid and Castle Crashers, pointing to them as forerunners of this past year’s downloadable uprising. Others felt Fallout 3 offered the most ambitious role-playing experience of the year, while some preferred the retro feel of Lost Odyssey. And there was plenty of justified arguing that the multiplayer revolution that is Left 4 Dead and the epic, jaw-dropping presentation of Metal Gear Solid 4 were unrivaled this past gaming year. Besides videogames of course, one thing most gamers have in coming is their love of zombies. From Shaun of the Dead to Dead Rising, adding zombies to anything -- even something completely random -- usually makes it that much more awesome. Think about it: imagine adding zombies to a movie like Out of Africa. Awesome! How about throwing a few flesh-eaters on Wisteria Lane to terrorize the Desperate Housewives? MORE AWESOME! What makes Left 4 Dead so amazing, though, is the zombies are only icing on the already incredible cake. Valve’s multiplayer masterpiece truly is a revolution in videogames. In fact, some of the editors here feel it created its own genre, sort of a hybrid between a perfectly paced single-player campaign and an almost flawless, unique co-op experience. Colette Bennett: Left 4 Dead was one of the few multiplayer experiences this year that actually got me to crawl out of my solo gamer cave and play with friends. Well, that and I never stopped being spooked by the sound of The Witch. Samit Sarkar: There's a reason I've been "hating on" Valve for not bringing Left 4 Dead to the PS3 -- I'm supremely jealous of people who own 360s and gaming PCs. I've only played a few rounds of L4D, but the little time I spent with it made me want it even more than when I was just reading up on it prior to its release. Get on it, Valve/EA! Brad Rice: I repeatedly punch Necros for buying the survival edition of Fallout 3 instead of putting that extra $50 towards getting Left 4 Dead. Anthony Burch: Left 4 Dead is the not only the best zombie game ever made, but the best game in a genre it itself invented. I've never before seen the pacing and structure of a (remarkably intense) single-player game jammed into a multiplayer experience, but Left 4 Dead has convinced me that we should be seeing a hell of a lot more hybridized gameplay like this in the horizon. The multiplayer's pretty unbalanced and we're still waiting on more maps, but hell if Left 4 Dead isn't a must-buy nonetheless. 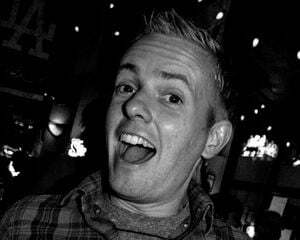 Jordan “Grim” Devore: What I love most about Left 4 Dead is how it's got such a small amount of content (almost all of which is fantastic), yet the game's replayability is on par with that of an arcade classic. By creating a formula that makes slight changes to what you as the player see in-game and completely socializing the zombie apocalypse scenario, Valve has made an unforgettable co-op experience and one of the best multiplayer titles I have had the opportunity of playing. 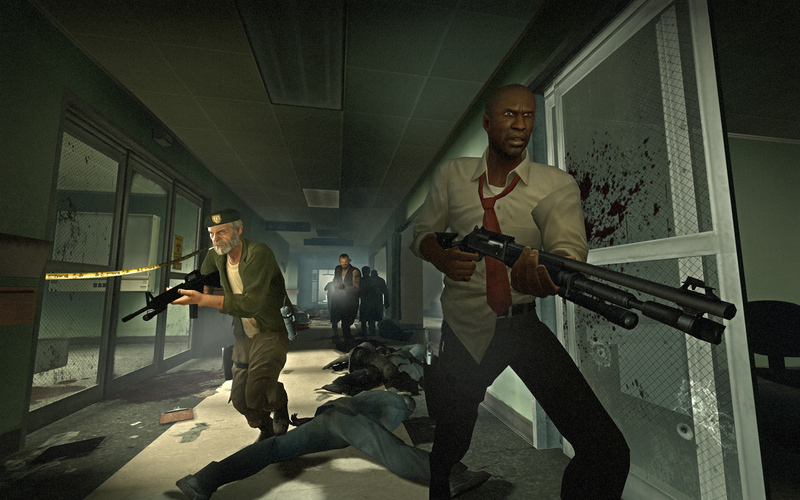 So, there you have it: Left 4 Dead is our pick for Destructoid Game of the Year 2008. Please know that it was a tight race this year and any of the other nominees could have easily won. This year was just that good. All in all, 2008 was an amazing year to be a gamer. Left 4 Dead is an instant classic that completely deserves all of the accolades it is receiving. Congratulations, Left 4 Dead. Don’t get too drunk tonight celebrating; we all want to play you tomorrow.